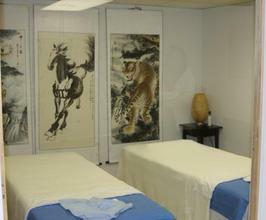 We are the highest skilled and personal Chinese massage Pittsburgh has to offer. Golden Hands Chinese Bodywork, a premere Chinese Wellness Center, provides authentic Tuina - a style of Chinese massage going back over 2000 years in history. We are a family oriented business providing the most effective Chinese massage services in Pittsburgh and surrounding areas. If your muscles feel tight, or neck and back muscles feel sore, come here and our hands can make you feel better.